The black people in South Africa arrived in the country from A.D. 300 onward, during the Southern Migration. Today they consist of 9 different nations or ethnic groups, representing the vast majority of the population in South Africa. They are devided into 4 language groups, of which the Nguni speaking people form a major part. 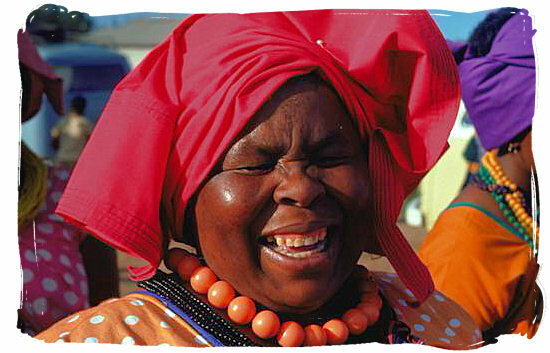 Other main language groups in South Africa are the Sotho, the Venda and the Shangaan-Tsonga. The Nguni group migrated along the eastern part of southern Africa in their southward move from central Africa. Some groups split off and settled along the way, while others kept going. Thus, the following settlement pattern formed: the Swazi in the north, the Zulu towards the east and the Xhosa in the south. Owing to the fact that these people had a common origin, their languages and cultures show marked similarities. 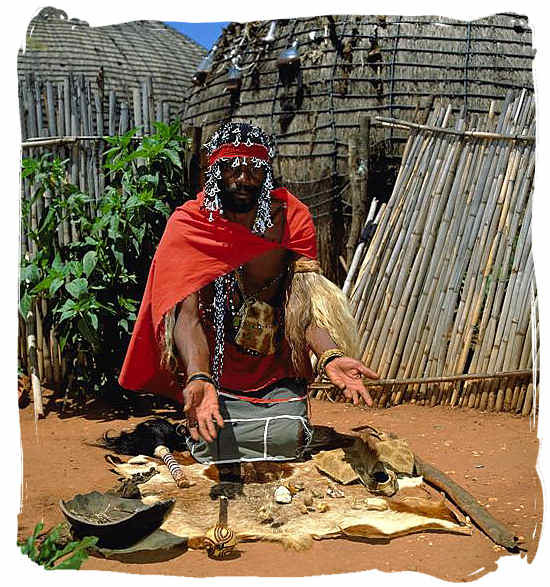 The first Xhosa tribes arrived in the 14th century in the area known as the Transkei. At first, they settled in this area but, in time, moved further southwards until they met up with the white settlers at the Fish River, in 1788. At this point, the Xhosa had already been living in the area near the Fish River for more than a hundred years. In their move to the Fish River, clashes with the Khoi people (Hottentots) often occurred, but they eventually defeated the Khoi. 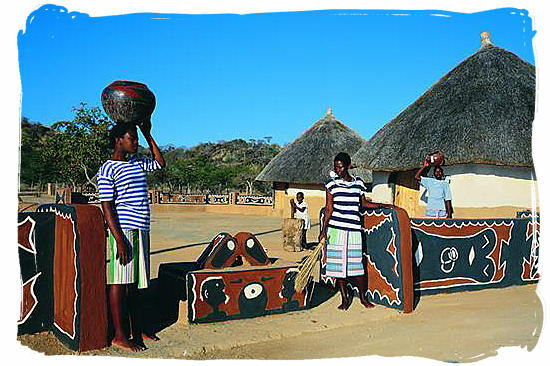 Many of the Xhosa tribes chose to settle along the south-eastern coast of Africa. The Xhosa people consisted of two main groups of tribes, the Thembu and the Mpondo. Some other Xhosa tribes such as the Fingo, Bhaca, Nhlangwini and Xesibe chose to settle in the eastern part of the Transkei. While the Xhosa tribes migrated to the Transkei and the Ciskei, other Nguni tribes such as the Zulu, chose to remain in Natal. In 1806, there were a large number of tribes in the area and there were four important and well-known ones. The Zulu tribe which, during the early nineteenth century, was only a small tribe, had settled between the Umhlatuse and the Umfolozi Rivers. The tribe’s first leader was Malandela and the tribe was named after his son Zulu. The Mtethwa tribe lived east of the Zulu and was a strong tribe under a strong leader called Dingiswayo. The Qwabe tribe lived south of the Mtethwa and its first leader was called Phakatwayo. The Ndandwe tribe was also powerful and its first leader was named Zwide. The Ndandwe lived north of the Mtethwa. Some Nguni groups migrated from KwaZulu-Natal to Transvaal in the middle of the 17th century. The Ndebele constituted two important groups. The northern group settled in the area around the towns today known as Polokwane (Pietersburg) and Mokopane (Potgietersrus). Intermingling between them and the North Sotho took place and this ultimately caused language changes. Important tribes constituting this section of the Ndebele are the Langa and the Moletlana. The southern group of the Ndebele people migrated to the southern part of the Transvaal under the leadership of their chief Msi. After Msi died, his two sons, Manala and Ndzundza, founded two tribes and split up the southern section of the Ndebele people. They settled in the districts around the towns today known as Middelburg (Transvaal), Bronkhorstspruit, Bethal and Belfast. 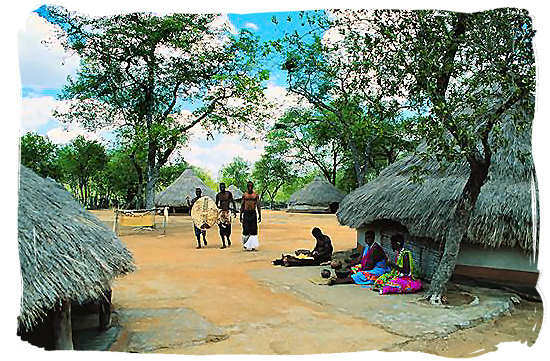 These tribes became known as the Manala and Ndzundza, after their founders. During the 19th century, Swaziland was home not only to Nguni tribes but also to Sotho tribes. The Ngwane tribe under the leadership of paramount chief Sobhuza became very strong after 1820. Mswazi, who ruled from 1840 until 1875, succeeded him and incorporated the Sotho tribes into his tribe or drove them out of the area. These changes made the Swazi nation take shape and the new nation was called after its founder. Small groups of Swazi people trekked across the border into the Transvaal. These groups constituted tribes such as the Nkosi, Shongwe and Khumalo who today live in the districts of Barberton and Nelspruit. 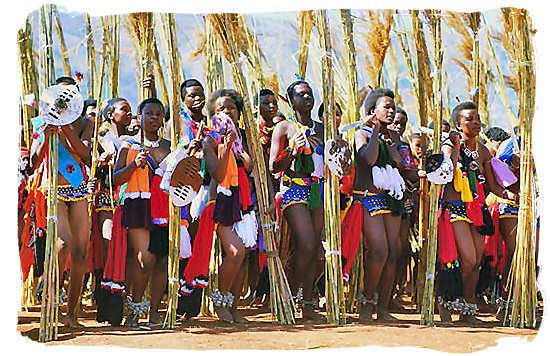 The Hhlatyawako live in the districts of Paul Pietersburg and Piet Retief, together with some other Swazi tribes. During the 16th century, the Venda migrated from central Africa to the area between the Soutpansberg Mountains and the Limpopo River. Some of them initially lived south of the Soutpansberg, but today they live mainly to the north of the Soutpansberg mountains in the districts known as Louis Trichardt and Sibasa. This area is called Venda. The most important Venda section is the Mphephu. 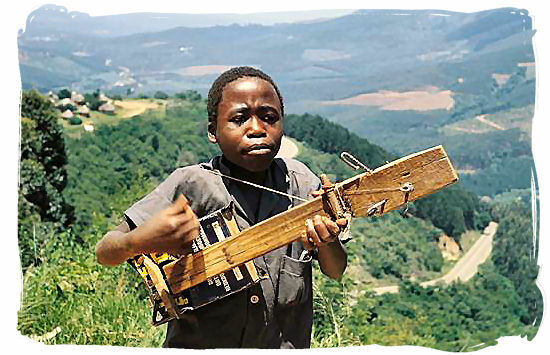 One of the smaller sections of the Venda is known as the Lemba. While the Nguni group, living in the eastern parts of the country, was moving southwards, the Sotho group, which was living at the edge of the Kalahari, was doing the same. This sporadic movement to the south took place before the year 1600. These people had originally also come from the area around the Great Lakes incentral Africa. One of the most important tribes was the Kgalagadi who settled in Botswana.Other Sotho groups migrated as far as the Orange River. During the Mfecane/Difaqane (displacement of black peoples due to intertribal warring and hunger) the Sotho suffered greatly under other tribes with leaders such as Mzilikazi and Mmantatise. The Sotho ethnic group is today divided into three main groups: the Western Sotho (Botswana), Southern Sotho (Basotho) and Northern Sotho (BaPedi). Certain tribes that initially formed part of the Bakgatla are today part of the Northern Sotho. They can be found in the areas formerly known as Sekhukhuneland and the Pokwani district. These tribes defeated other tribes who used to live there and after that, a strong tribe was built up by Thulare and Malekuta. They are commonly known as the BaPedi. Mzilikazi often attacked the BaPedi during the Mfecane. 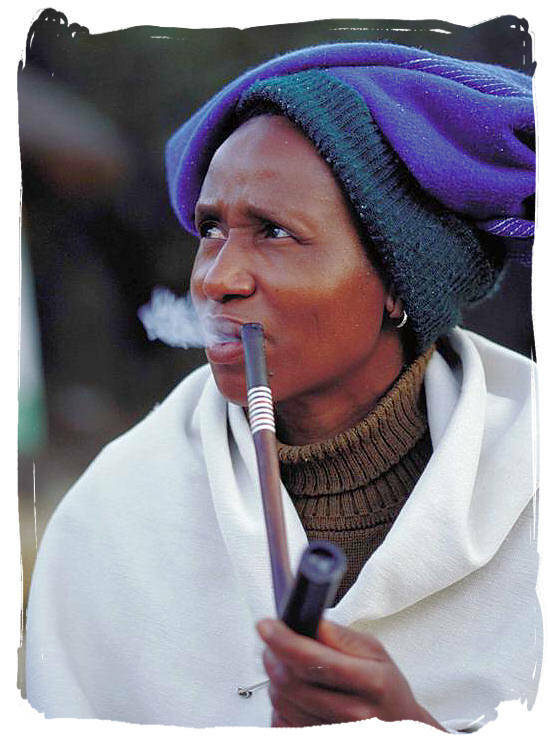 The most important Northern Sotho tribes are the Pedi, Koni, Phalaborwa, Lobedu and Kutswe. They mainly live in areas of Northern Transvaal and North-Eastern Transvaal. Prior to the Mfecane, many independent tribes lived in Lesotho and the eastern Free State. 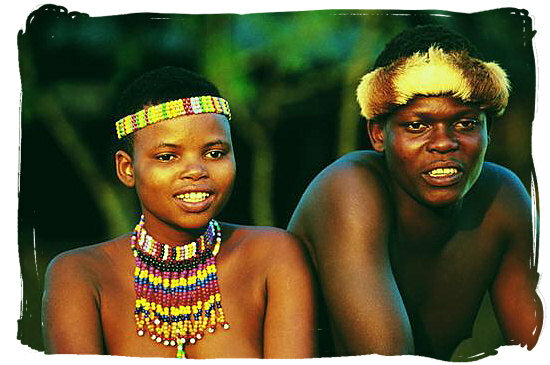 These people were related to the Batswana (Tswana people) and Sotho people who lived in Swaziland. They suffered greatly during the Mfecane and many of them were either driven away or killed. However, many of these fugitives found refuge with Moshweshwe’s tribe and in this manner, a strong nation was built. Today this group lives mainly in Lesotho and the eastern part of the Free State. Smaller groups are also found at Griqualand East, Thaba Nchu and Nqamakwe. The most significant tribes are the Kwena, Kgatla, Tlekoa, Taung, Tebele and Vundle. The Kgalagadi, initially the main tribe, gave life to the Kwena, which divided into a large number of tribes. The Western Sotho live primarily in the area of Bophuthatswana. 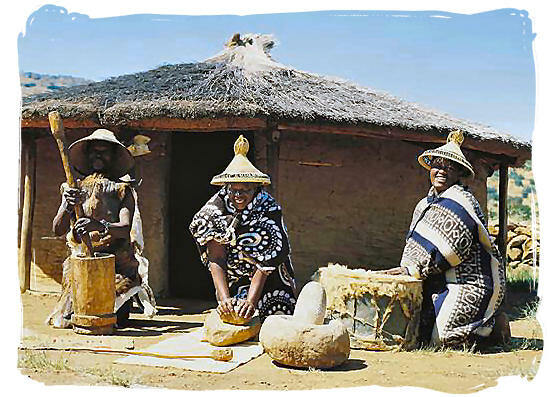 The most important tribes belonging to this group are the Tswana, Kwena, Kgatla, Tlhaping, Tlharo, Rolong and Ngwato. During the Mfecane, Soshangane, together with a part of Zwide’s tribe, fled to Mozambique. He oppressed the Tsonga who were already living in the area, some of whom chose to flee across the Lebombo Mountains into the Northern Transvaal. Their descendants now live in the districts of Pilgrims Rest, Leydsdorp, Tzaneen, Duiwelskloof, Sibasa and Louis Trichardt. 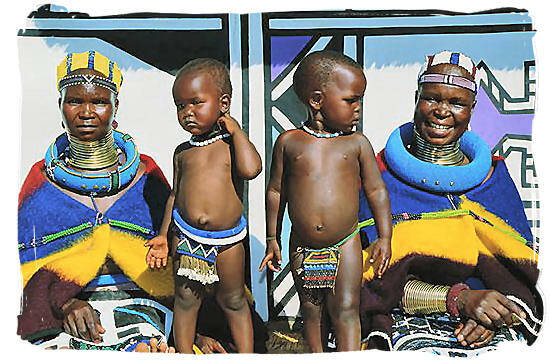 Some Tsonga tribes are the Nhlangu, Nkuna and Tembe. The most significant tribes belonging to the Shangaans are the Tulilamahashe, Shangana and Nkuna.